TOON CARGO SET | American Plastic Toys Inc. 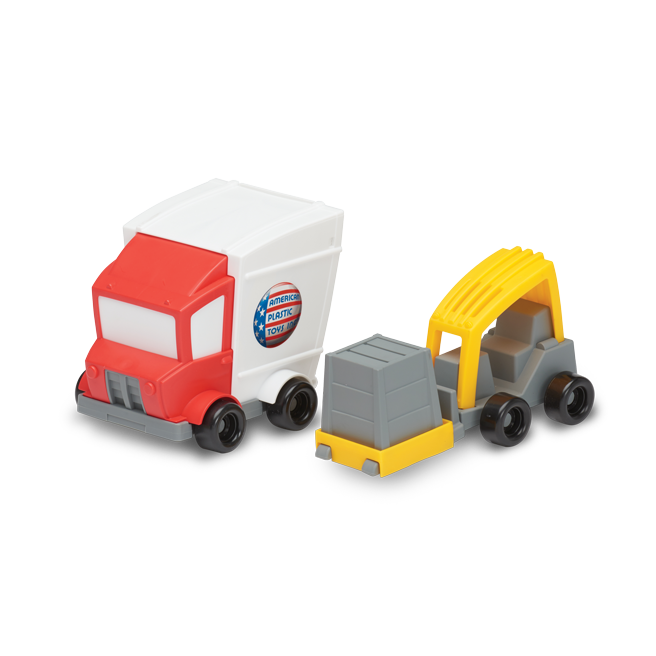 This cartoon cargo set is made complete with this APT delivery van and construction truck! Packed in a full color open die cut box.